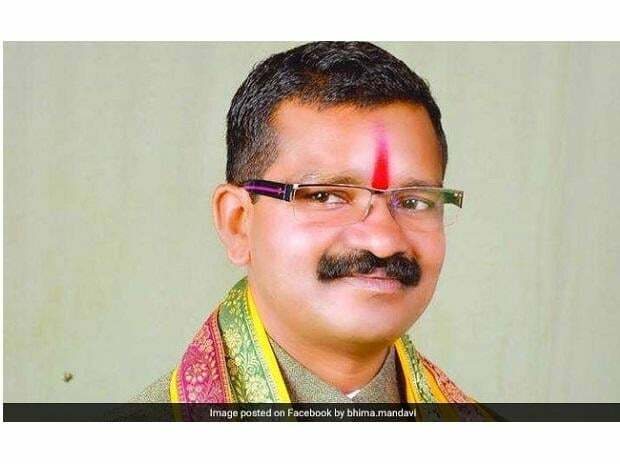 Bhima Mandavi, Bharatiya Janata Party (BJP) MLA from Dantewada in Bastar, along with four security guards, was killed on Tuesday when Naxalites blew up the vehicle he was travelling in by detonating a powerful explosive. The incident took place ahead of the Lok Sabha election as Bastar, along with other constituencies, will go to the polls in the first phase on April 11. The rebels ambushed his convoy at around 4 pm near Kuakonda in Dantewada district. The MLA, who was campaigning, had taken a short cut to reach a place called Nakulnaar because the election campaign was to end at 5 pm. The security agencies had warned public representatives to avoid the route because Naxalites had a strong hold in the area. In 2013 the Congress lost some of its top state leaders including V C Shukla in a rebel attack. Mandavi had addressed a public meeting in Kirandul and Bacheli, the pocket where National Mineral Development Corporation (NMDC) operates major iron ore mines. He was going to Nakulnaar to address another meeting when the incident took place. According to police officials, the Naxalites had meticulously planned the attack and blew up the vehicle in which the MLA was travelling while there were six-seven vehicles in the convoy. The impact of the blast was so severe that the vehicle flung up several feet in the air. A six-foot was created at the site. The MLA and the four security guards died on the spot. The rebels hiding in the area opened fire but the security men escorting the convoy retaliated and forced them to retreat. Of the 11 Lok Sabha constituencies in the state, Bastar is the only one that will go to the polls in the first phase. Rebels have been threatening people to boycott the Lok Sabha polls. Mandavi is a second-term MLA of the BJP. He was elected first in 2008 from Dantewada. In 2013, he lost to the Congress’ Devti Karma. In 2018, he regained the seat. He was deputy leader of the Opposition in the Chhattisgarh Assembly. The BJP demanded polling in Bastar be postponed. The Election Commission refused and polling would take place according to schedule. Chief Minister Bhupesh Baghel cancelled his election tour and returned to Raipur soon after getting information of the attack. He held a high-level meeting to take stock of the situation.